The day Arnold Tollie burned alive was ordinary in every other respect. It was business as usual as Toby Eastman unobtrusively parked his Piper Super Cub at the far end of the jungle landing strip just outside Cali. Toby instinctively chose secrecy over exposure whenever possible. He adapted like a chameleon, blending naturally into any background or situation. This trait had served him well in the past and it would do so again today. Arno—as Toby called Tollie—was late. Arno was often late. Toby habitually threatened to take off without him; it was an empty threat and they both knew it. Toby and Arno protected each other in this jungle just as they had when they served together in Vietnam. It was Arno who had arranged for Toby’s introduction to Colombian drug lord Enrique Valdez when Toby needed cash and connections and didn’t care where he got them. Toby walked to the edge of the landing field, peering down the path. Nothing. The chatter of monkeys and screams of macaws above heightened his awareness of the silence on the trail. Come on, Arno, Toby thought, as impatience slid into nervous irritation. It was more than the flight delay that made Toby nervous this time. Arno was taking chances again, the way he had when they’d run drugs in ‘Nam. Nothing too big or too obvious, just a little bit off the top here and there. It was stupid and risky but Arno seemed to think he was invincible. Invincibility, Toby knew well, was not a factor of the human condition. First Toby heard the footfalls, then the grunts and groans. Valdez’s men were walking down the trail. They were half-pushing, half-carrying Arno, bound and gagged, between them. Arno was barely walking. His face was pulverized. Toby dove behind a stand of mangroves, watched, and waited. Arno was a big man. It took four of them to drag him to the open field where the bush pilots landed, where his death would serve as a warning to any other pilots who thought they could steal from Valdez. They staked him spread-eagle to the ground and began cutting holes in his clothes, exposing naked skin with the dispassionate precision of a surgical team. Arno writhed in the tight ropes as they dipped frayed sections of his clothing in kerosene. Kneeling, one of them massaged Arno’s hair with the oil as if for a shampoo. Their methodical preparations, Toby realized with a sickening lurch in his stomach, were meant to avoid an explosive conflagration that would end quickly. They favored an excruciatingly tortuous burn that would slowly melt living flesh from bone. A human torch. As Toby waited through the night, unable to escape the sight, the smell and the screams, a human torch was exactly what Arnold Tollie became. The fire crackled. A tongue of flame broke free, reigniting dying embers, warming the room. Toby leaned back in his chair, took a small sip of his brandy and glanced around the tight space. Henry Rhodes’s bachelor’s quarters held the same comfortable clutter that Toby remembered. A sagging green sofa and two wingback chairs faced the now-cheerfully crackling fire. An oversized bookcase against the wall held evidence of Henry’s two passions–volumes of the classical literature he loved and, in a testament to Henry’s thirty-five years of gainful employment, a wide range of computer manuals. Henry sat in the other armchair, his feet barely reaching the floor. Like his home, Toby thought, enjoying the constancy, Henry hadn’t changed much in the last eighteen years. He was a small man, now sixty-two, rounded from his enjoyment of food and drink. His eyes closed in pleasure with his first sip of brandy. “The secret’s out, Henry–everyone’s finding out how good you really are. Of course, there were some of us who always knew it,” Toby replied, allowing himself another small sip of brandy. Despite the warmth of the fire and the brandy coursing through his veins, Toby knew he couldn’t afford to relax; not until he had the computer disk back safely in his possession. He touched the glass to his lips once more and then pushed it aside, watching with pleasure as Henry finished his first drink. “And how are your boys?” Toby asked. “I’ve got a couple of boys who are real crypto-wizards. Give even you a run for the money,” Henry said, chuckling mildly as he set down the empty glass. Henry referred to all the young engineers he’d shepherded through the company as “his boys,” even the women. Although Henry had been a talented software programmer in his own right, his company soon recognized he had an even greater ability to mentor the young college recruits they hired. Henry still kept in touch with most of them. Toby had been one of Henry’s boys, once, though his tour of duty in Vietnam had given him a later start than most of the others. Henry disappeared into his bedroom and returned with a large manila envelope. He peered over Toby’s shoulder as Toby flipped through the pictures of a recent camping trip. Toby remembered those camping trips. This one was in Yosemite, with El Capitan visible in the background. Two young men stared at the lens. The young Asian man stood stiffly, uncomfortable in front of the camera. The impish smile on the other boy, a chubby-faced blond wearing a blue and white rugby shirt, tugged at Toby, snagging him with memories he thought he’d laid to rest years ago. Memories he could not afford to indulge, especially now. “They look like great kids, Henry,” Toby said as he studied the prints. “Smart, too. Like you. But I keep them on their toes. I’ve still got a puzzle game or two up my sleeve,” he said. Henry sat down, poured a second glass of brandy and enjoyed a large swallow. He began talking about the old days, about the puzzle games, and how the competitive contests to crack encrypted computer code had helped discipline young minds like Toby’s and, in turn, had given Henry’s company valuable insights into the emerging field of cyber security.The reminiscences were flowing as freely as the brandy. Another time, Toby thought, he could relax and enjoy them, but not tonight. Too much was at stake. Henry finished the last of his brandy with a flourish and stood, reaching for the bottle and Toby’s half-filled glass. Henry looked up at Toby embarrassed, his smile sheepish. “What do you mean?” Toby asked, forcing a casualness he did not feel. “I don’t have it,” Henry said. “What?” Toby fought to keep his voice calm. “When I couldn’t solve it, I sent it to the boys to see what they could do with it.” Henry’s tone was mildly irritated, as if Toby had forgotten who was the student, and who the master. Toby’s mind spun, recoiling at the Hobson’s Choice Henry’s recklessness offered him. The one man he thought he could trust had betrayed him. Henry’s eyes blinked rapidly. He looked at Toby as if he’d never seen him before. “Toby, what have you gotten yourself into?” he asked, his voice cracking. “Nothing I can’t get out of. As soon as I get the disk back, everything will be fine.” Toby offered him a comforting smile. “You know me, Henry. Just tell me where the boys are and I’ll fix it,” he cajoled. Henry gave Toby a concerned look. Then he turned, picked up pen and paper and rapidly scribbled names, email addresses and phone numbers. “I’m sorry, Toby,” he said, handing over the note. You’re sorry? Toby queried silently. It’s too late for sorry. His mind flashed back briefly to the jungle, and the odor of the lump of burning flesh that had once been a man. The tension started in his neck and shoulders. Adrenaline kicked in, and with it the same rush of excitement and danger he’d always felt in the jungle right before the kill. Staring at his mentor, Toby felt uncontrollable rage explode inside of him, spouting like lava from an active volcano. Henry stood before him frozen in shock. His mouth sagged open in fear and protest. Toby understood his distress. The young recruit Henry had known wouldn’t dare speak to him that way. But Toby was no longer that man, if he had ever been. He reached into his pocket and palmed his stiletto, opening the blade. As it caught the bright light of the fire, Henry gasped. His expression changed rapidly from surprise to comprehension soaked with dread. Toby stared mercilessly at the man who had been his closest friend. Then, in one cat-like movement, he stepped across the room and grabbed Henry by the neck, pressing his fingers against the carotid artery. As the body went limp, Toby shoved his knife into the man’s back. The force of the thrust penetrated the kidney, twisting upward toward Henry’s heart. Black-red liquid oozed from the small wound, staining both their shirts. The body shuddered and slumped against Toby. He stepped back letting it slip to the ground in the widening pool of its own blood. His task completed, Toby paused, panting from exertion. Drawing a deep calming breath, he looked around the room investigating the scene, ready to cover his trail. He picked up his glass and swallowed the remaining brandy. A reward for a job well done. Then he pocketed the used glass and the photographs. As he moved around the body lying lifeless on the floor, he glanced back for one last look. Henry’s eyes stared at the ceiling in surprise. A stream of pink blood trickled down his jaw. The sight stopped him. His clean and uncomplicated exit from the house was suddenly impeded by a pull he hadn’t experienced in years, maybe since he’d sat under Henry’s tutelage at the company. Leashed by fleeting but honest remorse, he returned to the body and tenderly closed its eyes. 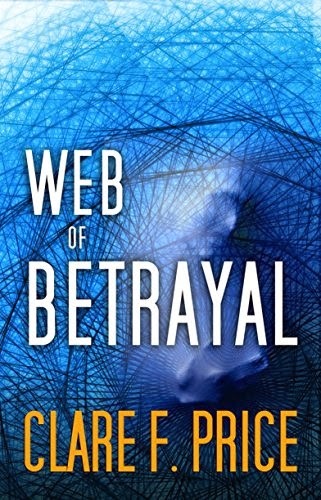 I just finished reading Web of Betrayal and I have to say that this was the kind of book that gets your interest from the very beginning. The book is full of action, suspense and twists and turns. It was very hard for me to put down for even a little while until I finished it. I loved the storyline and the strong characters. I give this book a 4/5. I was given this book by Partners in Crime Tours and all opinions are my own. 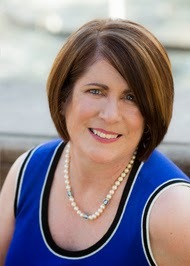 Win Web of Betrayal by Clare Price & a $25 Amazon Gift Card! Thanks for sharing your review on this book with us. Sounds like an interesting read! WE ARE GOING TO THE CIRCUS!!! !